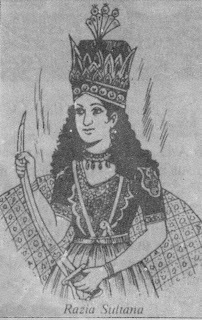 Altunia the Governor of Bathinda rebelled against Razia Sultan - the first woman to sit on the throne of Delhi. Later she was arrested and kept in this fort. According to a legend a dejected Razia jumped from the parapets: Earlier Prithvi Raj Chohan had besieged it for more than a year. A thousand years ago Mehmud Gaznavi also visited it and a mention of it is there in Al Biruni's Kital-ul- Hind. Bathinda Fort the marvelous monument which breathes history is visited by DR. SUBHASH PARIHAR to tell its glorious tale. The charm of reputed monuments apart, the little-explored historical. buildings have an attraction of their own. The land of Punjab too has its ' share of such monuments. One of them is the historic fort at Bathinda. Bathinda was situated along thb ancient route which connected Delhi with Multan, the gateway of Hindustan from the northwest. To check the foreign invasions, a line of strongholds to the north of the Ghaggar river was erected during the early centuries of the Christian era. 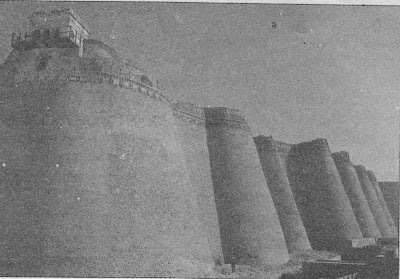 Commanding the strategic routes, these forts were located at Bathinda, Sunam, Ghuram and Samana. To the south of the river, the forts of Sirsa and Kaithal formed a second line of defence. The fort at Hansi along with the hill-fortress of Tosham, guarded thd desert frontier. Of all these strongholds, the only one at Bathinda could endure the ravages of time. Set 300 kilometers northwest of Delhi, this fort has a long and important history unfolded. From the eleventh to the fourteenth century, this fort occasionally attracted the attention of medieval historians who referred to it as Tabar-e-Hind, the strength and glory of India. But the story that emerges out of numerous scraps of information lacks continuity. lt is episodic. But the fort eventually shot into prominence for the first time when it was captured by Mahmud Ghazni in 1045. Bidjay Roy, the Raja of Bathinda, unable to resist the besiegers fled from the fort and committed suicide. At the time of Mahummad Gauri's invasion, it was held by Mangal Rao, a descendent of Rao Hem Hel Bhatti. Mangal Rao, leaving the fort in the command of his son Anand Rao, led a large force to Jaisalmer against Muhammad Ghuri. The father was slain in the battle and the son died during ' the siege of the fort. Muhammad Gauri left Malik Ziyauddin Taluki as commander of the fort. But soon after his return, Rai Pithaura, popularly known as Prithvi Raj Chauhan, laid a siege to the fort, which continued for more than one year. Ultimately Malik was left with no option but to concede. Nasiruddin Qabbacha, the ruler of Sind is known to have captured the fort in 1210, after the death of Qutbuddin Aibak, the first Stave Sultan of India. 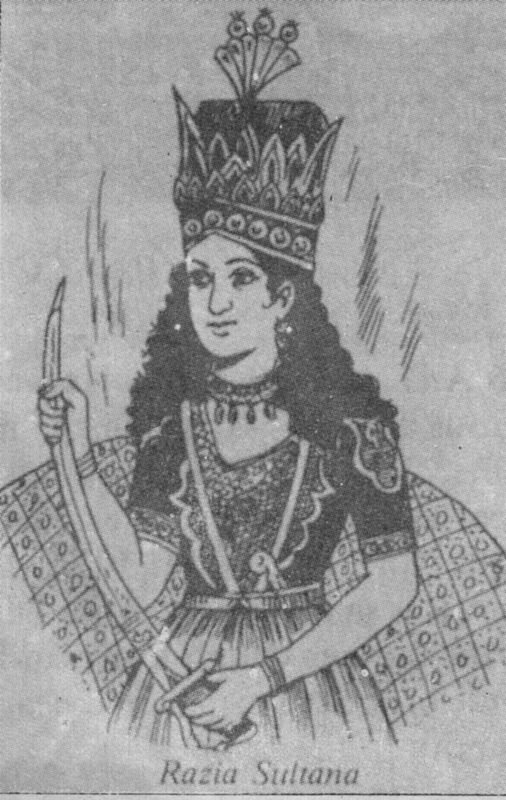 During the Razia's reign, Malik lkhtiyaruddin Altunia the governor of Bathinda, rebelled against her authority. She marched on him to quell the rebellion, but her Turkish nobles mutinied against her and killed her paramour, Yaqut the Abyssinian. She was consigned to Altunia as a prisoner and was kept in the fort of Bathinda. According to a local source Razia committed suicide by jumping from the wall of the fort. But some historical records of the period tell that after her marriage with Altunia, they were assassinated by a gang of plundering Jats, near Kaithal. ln 1253, the fort was occupied by Razia's brother, Sultan Nasiruddin Mahmud. Malik Sher Khan was appointed the commander of the fort who also renovated and repaired its structure at various places and points. After the middle of the fourteenth century, the fort gradually fades into oblivion. The reason being that the encroaching Thar desert began to render the route to Multan on which Bathinda was situated, difficult to traverse. Timur completed the process of decline of this route by destroying the cities along this highway during his invasion. The future line to the northwest was to be via Sirhind and Lahore. Hereafter, only a few references to the fort are known. As is well-known, Akbar's regent Bairam Khan when dismissed from wazarat in 1558, took recourse to rebellion against the Mughal empire. lt was in the Bathinda fort that he lodged his family before. marching towards Jalandhar. However, he was defeated by the royal army at Gunachaur, near Rahon. Hereafter, once again the fort fades out from the gaze of history until it is known to have been co,nquered by' Ala Singh, the Patiala chieftain, in 1754. The fort was rechristened Govindgarh. And most of the structure of the fort as it survives now, date back from its occupation by the Patiala rulers. They held it till the merger of their territory with the Indian Union in 1956. Before visiting the fort, one must bear in mind that it was not a palace- fort like the Red Fort at Delhi or Agra. So one is not to expect buildings like Diwan-i-Aam or Diwan-i-Khas here. lt was purely a military post. Architecturally, the fort is a formidable structure built on a roughly rectangular plan, each side extending up to 200 metres. The extraordinarily thick curtain wall of the fort soars up to 30 metres, dwarfing everything in its vicinity. Each corner of the structure is , marked by a massive and strong bastion whereas there are eight supplementary bastions on each side, lending it additional robustness and strength. The only access to the fort interior is through a monumental .r gateway, set .at the north-eastern corner. The defence of the Passage through this gateway was by a strong iron-clad, two-leaved door, armoured on the outside with line upon line of sharp and stout iron spikes to protect the door from being butted into and forced upon by elephants. The left leaf of the door has wicket gate. The door was secured when closed, perhaps by a heavy timber: which was drawn across the opening, in the usual manner, out of a socket in one side, with the end inserted into a socket into the other. Opening out of the walls above are three tiers of loopholes through which fire-arms, spears and arrows might beparted on an attacking enemy. Anyhow, if the enemy succeeded in penetrating this doorway, the passage was again defended by strong guards who were posted in the recesses located on either side. The gateway with its arched entrance is obviously a Muhammadan structure of some later date. From this gateway, a steep ramp, after taking two right-angle turns, communicates to the top of the curtain cell. An other access to it is by a double flight of steps contained in an arched entrance towards the middle of each side on the interior. At each corner of the wall is a baradari-like (twelve doored) pavilion, used perhaps as a watch-tower. ln ancient times, the fort was defended by a ditch which was filled with water from a Ghaggar channel. Later, this ditch was ordered to be filled up with the refuge and debris of the town by Mahmud Ghazni. Also there was a large tank within the fort which was indispensable for storing water as a siege could extend upto months and even years and those inside the fort had to depend for water entirely on its internal supply. A broad rampart was thrown up around the fort, perhaps by the Patiala rulers. lt has vanished long since. Two of its bastions crumbled in 1958. The bastion on which stood the Gurudwara dedicated to the tenth Guru Gobind Singh, also crumbled during recent years. The whole structure was in the process of rapid decay. But fortunately, the Archaeological Survey of India has come to its rescue and started extensive repairs under the guidance of Dr. P.K. Mishra, the superintending Archaeologist and the charge of Sh. Chand Ji Kaul, the Assistant Conservator. Thus, this ancient fort which is now among the great archeological attractions of Punjab would be protected and preserved for us and for the posterity to look and to admire at and to have glimpses of the great values of safety and security it stood for. It was such a good information in this article. Have you any information regarding its administration during the British period. Wow , thank you for sharing this information , love to explore more about this fort and the Bhatinda city , please share the external source of the same if you have any.